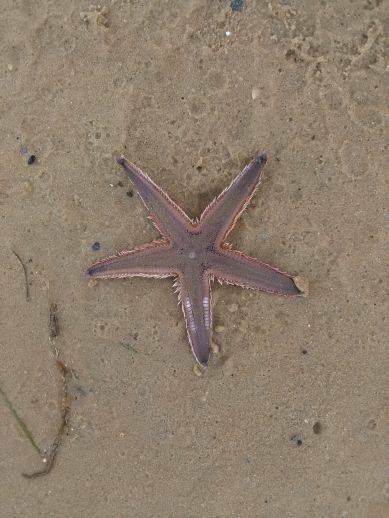 Sand Stars in West Lakes | Marine Life Society of South Australia Inc.
“Hi, Thanks so much for your prompt reply. 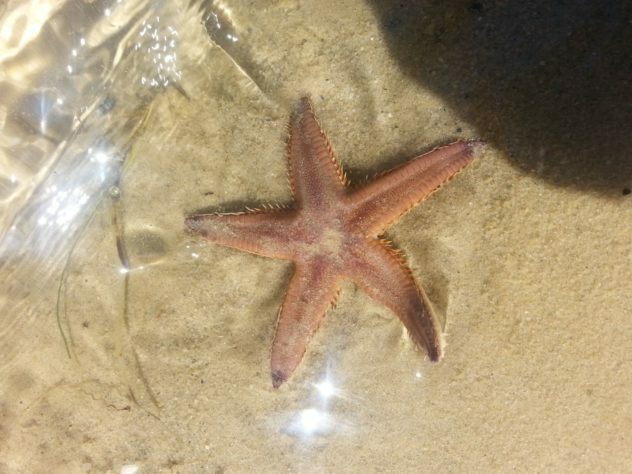 When I looked at the pictures on your website, I thought it appeared similar to Astropecten preissi, but I know nothing about starfish so I don’t know what I’m looking for. 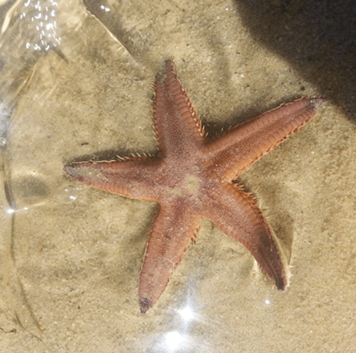 “I have attached some photos, but the video my son took of one that he had flipped over might be better as it shows both sides. 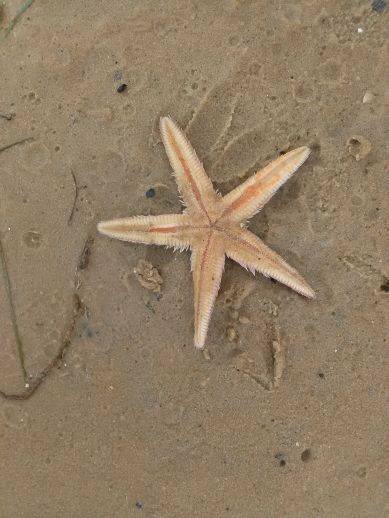 I told Jerusha that I had posted the sand star photos on iNaturalist and that the initial response to the photos is that they are A.Preissi. 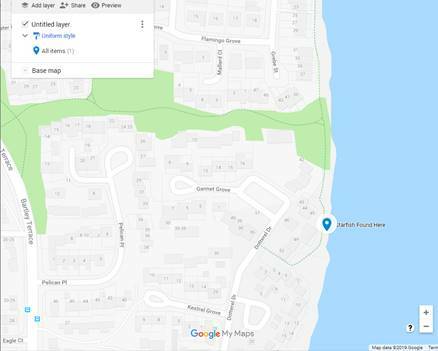 The approximate size of the sightings was 60 to 150mm diameter. I had suggested at the time that they were A.Preissi. 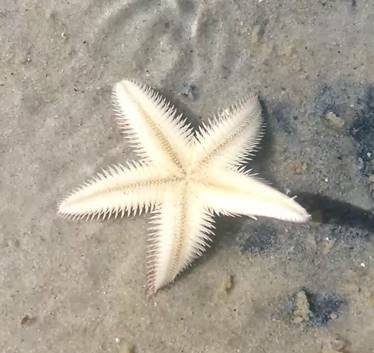 The above dorsal view of Lyndon’s starfish features as the header photo for this report. Many thanks go to Lyndon and Jerusha for their photos and information.